The Trucker Huss multiemployer, Taft-Hartley plan practice serves a wide range of clients. 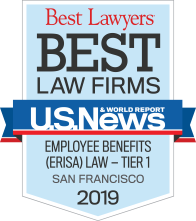 We have the distinction of being counsel to the world’s largest multiemployer pension plan as well as counsel to small, single-state and single-employer plans. Representing the Board of Trustees is our primary service for multiemployer plans. We are not an adjunct to a labor law practice and we do not engage in collective bargaining. The advice we provide Boards of Trustees, and their administrative staff and related professional advisors, is based on years of experience working specifically with these types of arrangements. We focus on providing our clients with practical solutions to the problems these plans encounter. Legal advice may be only a part of these solutions. Our success with multiemployer and Taft-Hartley plans comes from our many years of experience seeing and confronting the unique situations that these plans face. 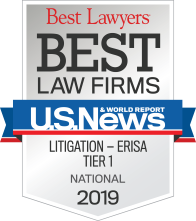 For more information regarding this area of the Firm’s practice, please contact Charles Storke, Robert Schwartz or Tiffany Santos.